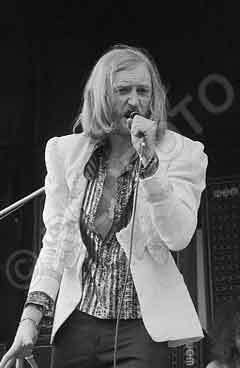 On 5th March 2015 it will be twenty years since the wonderfully weird singer, musician, wit, poet, artist, mystic, songwriter and all-round ‘definitely not normal’ Vivian Stanshall (1943-1995) left our world for somewhere far more colourful, wild and magnificent. He may well be best known yet for his time as the frontman of the Bonzo Dog (Doo Dah) Band, a ragbag of art students who started by apeing the sounds of jazz and silly big band tunes by way of Spike Jones and Flanders and Swann. They recorded ‘My Brother Makes The Noises For The Talkies’, ‘Button Up Your Overcoat’, and made a memorable, and early, television appearance performing ‘Bill Bailey’ on Blue Peter, before taking up residency on one of the shows which pre-dated Monty Python, ‘Do Not Adjust Your Set’. Neil Innes provided the melodic music and the happy Beatly-type face of the Bonzos, but Vivian provided a sense of danger and fascination, which came to the fore during the band’s first album, ‘Gorilla’, in 1967, which featured such cuts as ‘Jollity Farm’. ‘Look Out There’s A Monster Coming’, ‘Mickey’s Son and Daughter’ and the delightfully subversive ‘I’m Bored’. Vivian’s posh vowels and droll delivery livened up the songs and made them different to the mop-top popular music or the dreary psychedelic epics of the time. It was with their 1968 album, ‘The Doughnut in Granny’s Greenhouse’, however, that the odd side of the Bonzos really took hold: ‘Can Blue Men Sing The Whites’, ‘My Pink Half of the Drainpipe’ and ‘Postcard’ all seemed to be railing against what the rest of the world accepted as dreary, everyday, and normal. During this year their single ‘Canyons of Your Mind’ was played out on the German show ‘Beat Club’ – it was in repeats of that show that I first spotted Vivian Stanshall, thought he was a fascinating and unique creature, and became hooked for life. 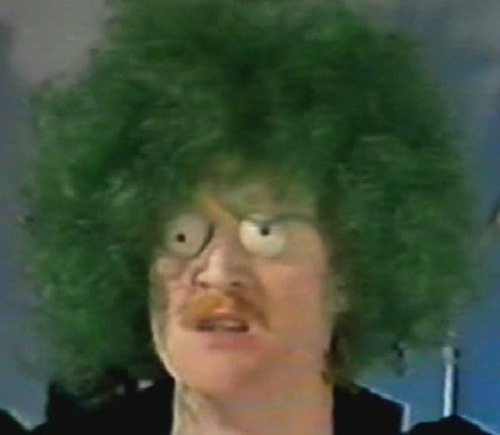 Watching ‘Vivian Stanshall’s Week’ from 1975, one might take time to adjust to the absurdity and surrealism of what passes as one man’s everyday life (as well as being quite shocked at his appearance at this time), but it is a slice of television quite unlike anything else that was around at the time. During the 1970s he was also involved in the seminal ‘Tubular Bells’ project from Mike Oldfield, introducing the instruments, and in writing for Steve Winwood’s solo albums (notably the songs ‘Vacant Chair’ and ‘Arc of a Diver’). These songs alone showcase a perceptive and sensitive lyricist rather at odds with the public image of a difficult and crude eccentric given to scatalogical humour and slightly offensive offbeat observations. 1974’s album ‘Man Opening Umbrellas Ahead’ achieved almost-legendary status during its long period of unavailability between release date and 2010. I remember obtaining a bootleg in the 1990s and being shocked and enthralled by the music I was hearing – dangerous, yes, but also sensual, troubling, wildly funny, and in places, rather beautiful. It is a modern classic in many ways (particularly the epic ‘Strange Tongues’ and the troublingly weird ‘Yelp, Bellow, Rasp, Et Cetera’). His follow up solo album (of songs) from 1981, was ‘Teddy Boys Don’t Knit’, a far more personal affair with tracks dedicated to his wife and young daughter, and reflections on his childhood and life as a ‘rock musician’. 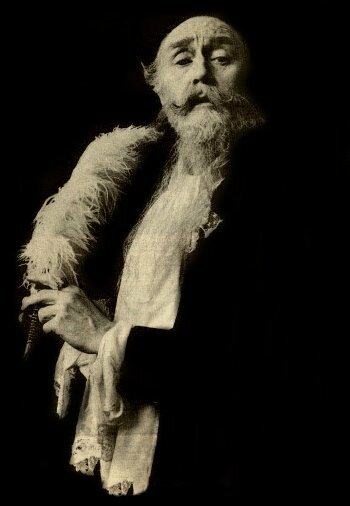 It seemed that despite his frailty Vivian Stanshall would always endure, and so it was a great shock, and a great sadness, when he passed away in a house fire on that fateful night in 1995. Since then his star has continued to shine bright and his influence on performers such as Stephen Fry and Adrian Edmondson has endured. We might celebrate the Young Ones, Little Britain, or the League of Gentlemen, but I submit that someone else got there first – the man in the sharp suit and the lounge voice who appears in the cabaret spot in the Beatles’ ‘Magical Mystery Tour’, the man who contributed a couple of rock pastiche songs to the soundtrack of ‘That’ll Be The Day’ and parodied the King himself on ‘The Last Temptation of Elvis’, the man who crooned about being a ‘Big Shot’ and frightened passers-by dressed as a giant rabbit. We will not see his like again, and we miss him like crazy. 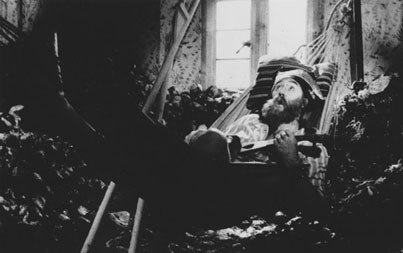 However, his widow Ki Longfellow-Stanshall is currently planning to bring a showcase of Vivian’s work back to the fore through an exhibition of his work which will hopefully engage and excite a new generation. I have a feeling the old boy might have been very pleased about all the attention.